"It (Champions League) is the most difficult competition. You can not compare it with a World Cup because the teams are stronger than national sides." Exactly what point he's trying to make is rather murky—is he right? 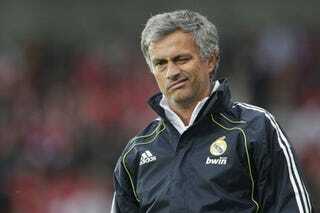 Or might Senor Mourinho be blowing yet more smoke up his own behind? Figuratively speaking. Surely a competition that only comes around once every four years must be harder to win than an annual event? Spoiler readers, what are you exact thoughts on this? This post, written by Josh Burt, is republished with permission from The Spoiler. Go there often if you like soccer stuff.